One event will be a daytime event which mothers are invited to bring their children along to, this then eliminating the struggle between childcare issues and being able to promote their business. A second monthly evening event is also being held. Each month there will be a speaker at the event’s on various business topics. In January there will be speakers sharing their knowledge on how to get the best from Twitter for business. Bizmums started through a passion for networking. Since Michelles little boy has been in part time School she have been steadily growing her coaching & training business alongside my part time job. Michelle is also an associate for a networking organisation called Free2Network which hosts a monthly event in Oswestry. In September Michelle made the happy discovery that another baby was on its way in June 2013, but realised that once born it would mean that her networking would have to stop. It is the main source for me to grow and develop my business so this panicked her a little. After much thought though Michelle decided that she couldn’t be alone in this situation so posted a message on a local mums Facebook page asking if any other mums who have their own businesses would be interested in a business focused group where they could bring their children. The response was overwhelming and the rest, as they say, is history. 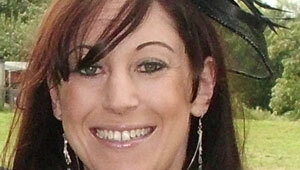 Before Michelle had Harrison, she was an Account Manager for a Displays & Lighting company in Shrewsbury. Her role involved travelling to the South West of England on a regular basis but family commitments meant this just wasn’t feasible. After taking voluntary redundancy from the company in December 2008. Michelle returned to work in Dec 2009 as a part time retail manager but knew that this wasn’t going to be her future career. She began looking for flexible opportunities which would work around the family. Through the role as a retail manager Michelle discovered a passion for training, coaching and mentoring and decided that this is where her own business would focus. The January events are on Thursday 17th January at 7.30pm at The Clock Tower in Donnington and Tuesday 29th January at 10.30am at Quackers Play Barn. All events in January are free to attend. Email michelle@yourstepstosuccess.co.uk for more. Bizmums are also on the lookout for people interested in speaking at any of their events.